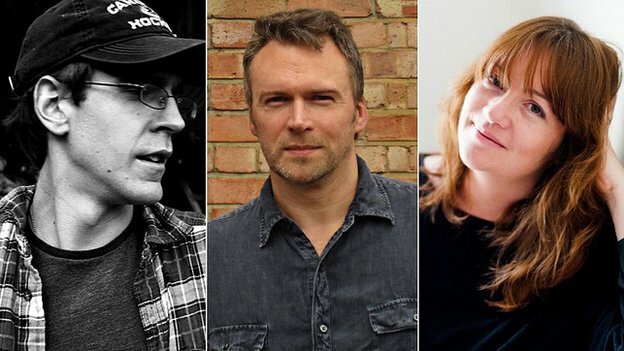 A shortlist of three books for the prestigious Desmond Elliott Prize for first time novelists has been announced.Robert Allison's The Letter Bearer will compete with Eimear McBride's A Girl Is a Half-formed Thing and Ballistics by DW Wilson. The winner will be named on 3 July and receive £10,000; former winners include Anjali Joseph and Nikita Lalwani. The prize is named after the acclaimed publisher and literary agent. Elliott founded his own agency and nurtured authors such as Jilly Cooper and Anthony Horowitz. He died in 2003 at the age of 73. Novelist Chris Cleave, the prize's chair of judges, said: "All of us on the panel agreed on six books that deserved to make the cut, so it was heartbreaking to have to choose three - but we were all happy with this shortlist." McBride's book, described by judges as "wild, brave, moving and darkly cryptic", was rejected by every major publisher and took nearly ten years to finally come out. It narrates a young woman's relationship with her brother who suffered a childhood brain tumour. Allison's World War II novel, follows a nameless motorcyclist left for dead in the Libyan desert and found by a band of British Army deserters. It was, said Cleave, "a wholly original allegory of our struggle to find identity." The work by DW Wilson, winner of the 2011 BBC National Short Story Competition, follows a man on a mission deep into the Canadian Rockies to retrieve his missing father. The book was praised as "a combination of supreme elegance of form with hard-bitten wisdom". Last year's winner was Ros Barber with her work The Marlowe Papers.